Tuesday is traditionally the release date for new games, but those of you who have an Nvidia Tegra-powered smartphone or tablet can get your hands on two brand new titles this evening. The first, Sumioni: Demon Arts, is a port from the PlayStation Vita game of the same name released this spring. 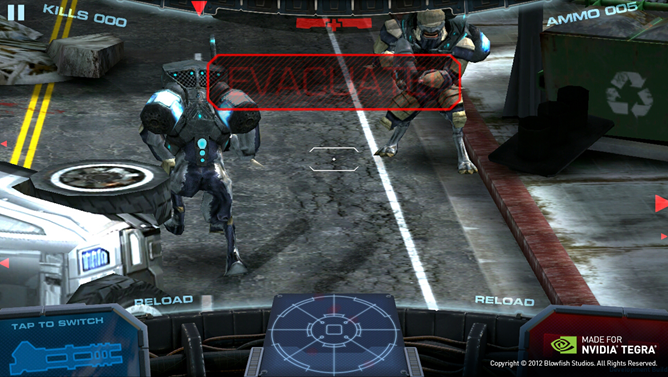 Razor: Salvation is an iOS convert, gracing Android after its debut in the summer. 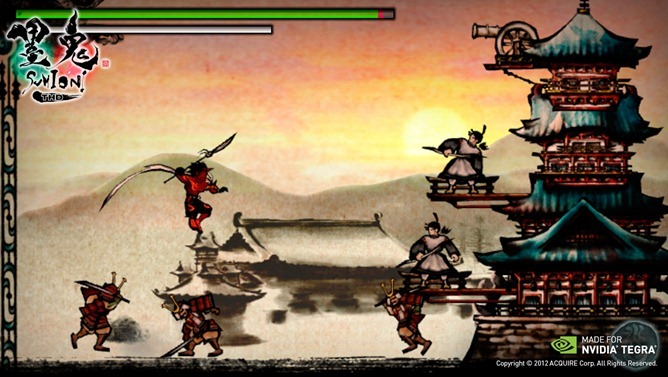 Sumioni is a pricey $12.83, while Razor is $2.03 with in-app purchases, both prices in USD. 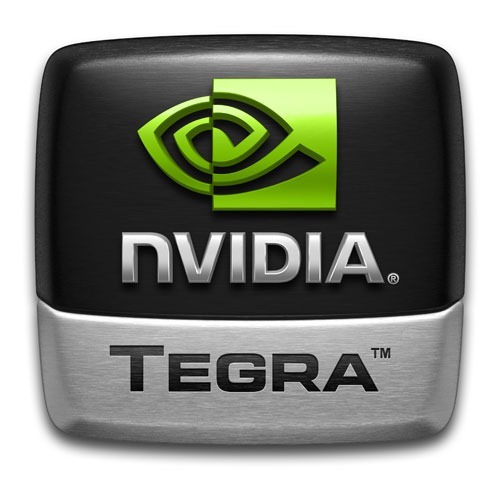 Non-Tegra owners need not apply for either, at least not yet. 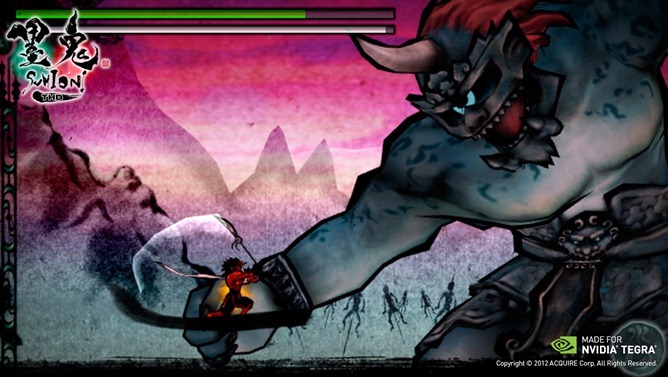 Sumioni: Demon Arts is a rather unique title, giving the player control of a demon who paints his way through levels with a calligraphy brush. (Japanese students and otaku will probably be able to work out the pun in the title.) It combines conventional platforming with an open-ended brush mechanic: you'll have to draw surfaces for Agura to run across, avoiding enemies and obstacles while fighting off hoards of bad guys. You'll also be tasked with drawing various shapes to summon other demons. 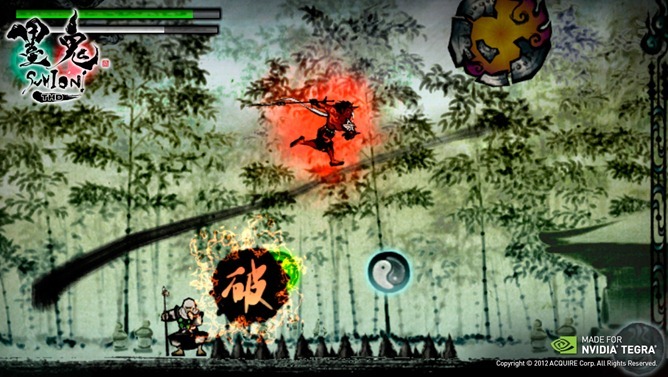 The art style is reminiscent of sleeper console hit Okami. Here's the trailer for the Vita version of the game - it looks pretty similar on Tegra 3 hardware. 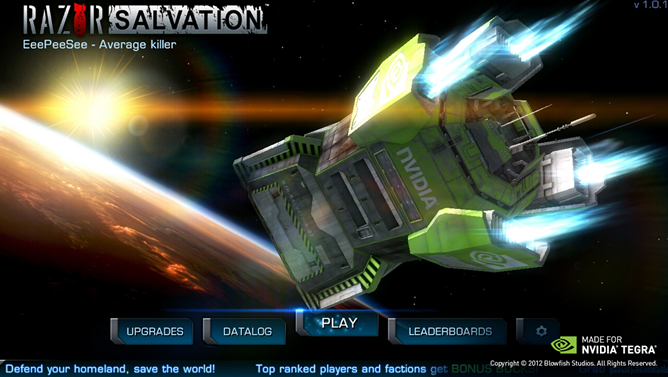 Razor: Salvation is something not often seen these days - a turret shooter. Fight off waves of alien invaders with your stationary gun, while avoiding puny humans civilians and generally playing a 23rd century Orkin Man. Razor is cheap, but also has a nasty surprise - you can't really get the most out of it without diving into in-app purchases for upgrades, and even ammunition. 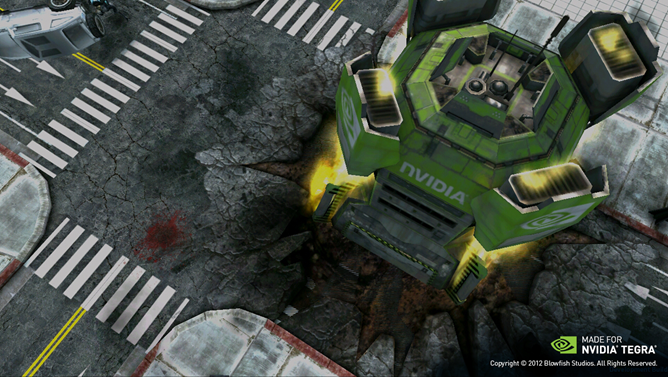 On the plus side, if you're an Nvidia fan, you'll be able to defend and/or destroy Nvidia HQ.